Multibrackets Public Display Stand 210 HD Single is one of the most flexible and multifunctional display stand of its kind. 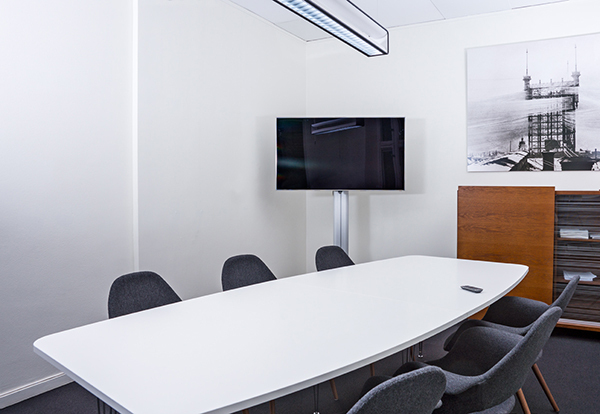 The Dual display possibility makes this unit optimal for videoconferencing and more detailed presentations where a dual screen scenario might be needed. The 210cm height is useful for both for conference rooms or other situations where the viewers are sitting down and in public areas such as trade shows, hospitals and other places where the audience are standing. So get an optimal positioning for both seated and standing audiences - in any part of your facility. Our M Multibrackets Public Display Stand has a versatile usage area. Mainly made out of a light weight aluminum construction it is both heavy duty and will support most ideas and environments it is placed in. With the M Public Display Stand 210 HD we included both lockable Tente wheels and height adjustable feets so it can match any type of installation. With the height of a 210cm pillar screens can easily be placed in landscape or portrait mode.One can also place 2 screens on top of each other to create a dual video wall, perfect for presentations or messaging.Second Screen mount is not included (optional). The M Multibrackets Public Display Stand 210 can be used with screens in a standard landscape mode or a portait mode. The optional display stand base can even be drilled into the floor to make the display stand stay put in any public environment it is placed in.